As the year moves toward its end we have been listing the most pirated entertainment titles of 2010. Following our Top 10 games and movies charts, we now turn to the most downloaded TV-shows. Lost tops the list this year with over 5 million downloads for a single episode, beating last year's winner Heroes. TV-shows have traditionally increased in popularity on BitTorrent year after year. In 2010, however, when we look at the most downloaded titles of the year this growth seems to have levelled off a little. Lost and Heroes, two shows that were also leading the list in 2009, have achieved slightly fewer downloads when compared to last year. Despite this slight dip, the most downloaded episode of Heroes is still exceeding the average viewership on US television. The same is true for Dexter which moved up to third place this year. The massive piracy of TV-shows is mostly a reflection of the unavailability of these shows in countries outside the U.S., and a signal that TV viewing habits are changing. There is a huge interest in on-demand TV and there are millions of viewers that can potentially bring in millions of dollars in revenue. The percentage of TV-downloaders from the U.S. has steadily declined over the last years, in part thanks to alternative viewing options such as Hulu. In other regions, such as Australia and Europe, the demand for U.S. TV-shows remains at pretty much the same level as last year. 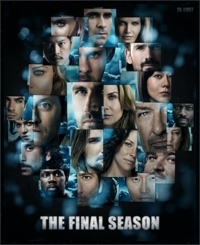 Outside the U.S. fans sometimes have to wait for weeks or even months before the show airs on TV in their own country. Many of them are simply not that patient or willing to torture themselves, and turn to BitTorrent in desperation. Below we have compiled a list of the most downloaded TV-shows, together with the viewer average for TV in the U.S. based on data from Nielsen. The data for the top 10 is collected by TorrentFreak from several sources, including reports from all public BitTorrent trackers. All the data is carefully checked and possible inaccuracies are systematically corrected.